The product labeling was purposely made to appear like Actavis Pharmaceuticals’ Prometh with Codeine and Hi-Tech Pharmaceuticals’ Promethazine Hydrochloride and Codeine. 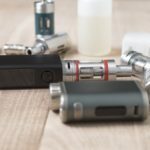 The Food and Drug Administration (FDA) is cracking down on companies that manufacture and distribute nicotine-containing e-liquids with labeling that appears to imitate that of prescription cough syrups. Warning letters were sent out to Undisputed Worldwide and EZ Fumes, the companies behind 2 of the misleading e-liquids, Double Cup Liquids Spritech Lemon Lime E-Juice Syrup and Double Cup Liquids Pineapple Phantom E-Juice Syrup. A review of the product labeling indicates that the e-liquids were purposely made to appear like Actavis Pharmaceuticals’ Prometh with Codeine and Hi-Tech Pharmaceuticals’ Promethazine Hydrochloride and Codeine, respectively. Consumption of nicotine-containing e-liquids can cause serious harm and may potentially lead to death in children. Seizures have previously been linked with nicotine poisoning and have been reported in the literature following ingestion of nicotine e-liquids. In a recent safety communication, the FDA warned of an increase in seizure cases following e-cigarette use. In a press statement, Gottlieb called the actions of these companies “egregious.” He said the FDA will continue to crack down on companies that put consumers at risk with misleading labeling and advertising. “Efforts to encourage the innovation of novel and potentially less harmful products such as e-cigarettes for currently addicted adult smokers will be severely undermined if bad actors put the public, and kids in particular, at risk in this outrageous fashion,” he added.